I am. and whiskey in the jar is a old irish folks song covered by metallica. Incase you didn't hear, Ronnie Drew (lead singer of The Dubliners till 95 but still sang with them every so often) died a few months back. anytime from 9am (gmt) would fine for me. Anytime bar wednesday this week would be good for me. Spore: Did you see this coming? If you damage or break your disc. Just mail them the receipt with a small payment like lets say $5, (cost of disc and the work, heck maybe even $10) and they would send you a new disc, while returning the receipt back to you. I call it the Super Key since thats what it realy is called. Can't think of anything realy. I still rather use my old nokia that has noting special. i use my psp for everything else on the move, movies, music,photos, internet, games, alarm, e-book reader etc. Keep an eye on your iPod !. though i have made a few ajustments to the design to keep it cool and not overheat and die like so many others. bit random but i put socoder into google and i found this website. would've figured it to be the same price :? im thinking of getting the f200 but its a bit pricy. touch screen in it aswell. how much did you pay for the f100? toshiba is not making hd-dvd anymore. although there is not an offical anouncment yet. 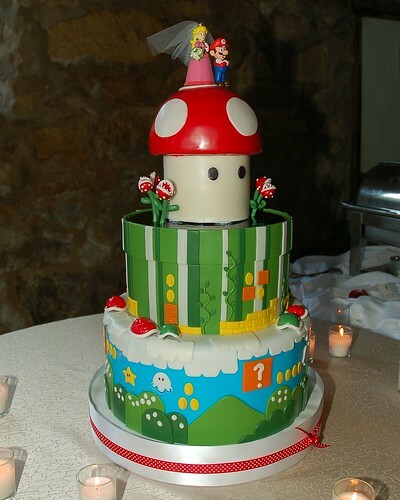 i don't think mario & the princess are.. unless you eat plastic of couse ... but the rest of it is as i can tell from the upclose pics. |edit| hope ye don't mind sharing the cake as i could only make one. apple to make a games console? say it isn't so. How many people worldwide, actually own a GP2X ?. i could write up a few java articles if anyone wants them. do you think there are actualy going to make one or just covering there backs for games on the iphone/touch?